Tips Alert: Motorola's upcoming phone display could self-heal scratches. Motorola's upcoming phone display could self-heal scratches. 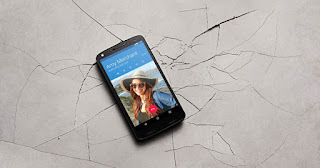 Lenovo-owned Motorola is known for launching smartphones with shatterproof displays. Now the company plans to launch the phone with a new self-healing screen technology, which could fix scratches on the device's display. A patent first spotted by Slash Gear shows that Motorola has designed a self-healing technology, which would detect a crack in the display and notify the user. Lenovo-owned Motorola is known for launching smartphones with shatterproof displays. Now the company plans to launch the phone with a new self-healing screen technology, which could fix scratches on the device’s display. A patent first spotted by SlashGear shows that Motorola has designed a self-healing technology, which would detect a crack in the display and notify the user. Once the user would know that the damage has been done, heat could be applied to the glass to repair beyond minor cuts and scratches. Though, in its patent filing, Motorola said that the method should not be treated as the perfect solution. The screen is the most delicate part on the smartphone. If it accidentally breaks, users have no option but to consider buying a new device or spend thousands on a replacement screen. This wouldn’t be the first time we’re hearing about a “self-healing” smartphone. In fact, LG was the first smartphone company to launch a smartphone with self-repairing elements. Its G Flex 2, which made its debut in 2015, had a “self-healing” back that’s claimed to repair cuts and scratches in less than 24 hours. Earlier this year, in April, Business Insider reported that the Chemists at the University of California, Riverside, created a new materiel for a self-healing smartphone. The report said that scientists created a polymer that can stretch up to 50 times its original size. A self-healing material, when carved into two parts, will stitch automatically within 24 hours, just like a human skin. It’s being estimated that this new material will be commercially used by smartphone vendors by 2020.